This educational charity (originally called The Galton Foundation) was founded in 1968 by Professor Sir Alan Parkes FRS on his retirement from the Mary Marshall Chair in Physiology of Reproduction, at the University of Cambridge. 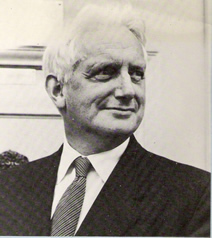 Sir Alan Parkes was the Chairman of the Galton Foundation from its inception until 1986 when he resigned. Professor Geoffrey Ainsworth Harrison, Professor of Biological Anthropology, University of Oxford, succeeded him in preparation for the establishment of the Parkes Foundation, through the amalgamation of the Galton Foundation and the ET and R Parkes Fund. The Parkes Foundation came into being in 1987 with Professor Harrison continuing as Chairman until his resignation in 1998. Since then, Professor C G Nicholas Mascie-Taylor, Professor of Human Population Biology and Health, University of Cambridge, has been the Chairman. The aim of the Parkes Foundation is to promote the study of biosocial science, the interdisciplinary area between the biological and social sciences. Initially this was effected through the Journal of Biosocial Science which started in 1969, and published original research papers. Workshops on specific biosocial topics were also organised and the proceedings were published as supplements to the Journal. Later the Biosocial Society came into being. Today the Journal and Society are separate from the Parkes Foundation but close ties remain. The Parkes Foundation exists as an independent grant-making charity, providing funds to help postgraduate students undertaking research in the interdisciplinary field of biosocial science, and organising Workshops on related topics, and the publication of the proceedings. The Royal Society published a memoir of Sir Alan Parkes written by Professor Christopher Polge CBE FRS in 2006.